BRAVE Vivienne Martin is using her battle with cancer to help transform the way patients are treated in North Wales. The Assistant Principal for Land-Based Studies and Additional Learning Needs at Coleg Cambria has fought breast cancer twice in just seven years. She returned to work in January and is back to full fitness but is aware the condition could return one day, and prepared if it does. Vivienne’s determination and drive saw her chosen by Betsi Cadwaladr University Health Board to become a spokesperson for its new partnership with Macmillan Cancer Support – Transforming Cancer Services Together – which will initially focus on breast, lung, colorectal and urological cancers. The campaign aims to redesign current processes and provide better care and support for patients in response to the Wales Cancer Patient Experience Survey, which found that while most people diagnosed with cancer in North Wales had a positive experience, there was room for improvement. The 56 year-old attended the launch in St Asaph and spoke of the need for better communication and coordination of care. “I felt I wasn’t receiving enough information and it meant I had to telephone around to find out what was going on,” said Vivienne, from Abergele. “The predominant issue was around communication and efficiency; the hospitals do amazing work and saved my life twice, so I want to help them further improve for people who go through it in the future. Richard Pugh, Head of Services (Wales) for Macmillan Cancer Support, added: “We are pleased to be working in partnership with Betsi Cadwaladr University Health Board to fund this innovative £900,000 programme thanks to the public’s generosity. Vivienne found she had cancer for the first time a month after her 49th birthday and could not believe it when doctors gave her the news. “I just wouldn’t accept it, I’m a positive person and refused to believe it, despite the results being 95% certain,” she said. “I was taken to Llandudno General Hospital and they moved really fast in operating and removing the lump, which was around 55mm in diameter. I was very lucky. Returning to Cambria’s Northop campus earlier this year, Vivienne was asked to oversee the college’s new-look charity and volunteering appeal, Calon – Charity in Action. This year’s nominated cause is the British Heart Foundation, and there will also be a fresh approach toward participation among students, staff and the community. 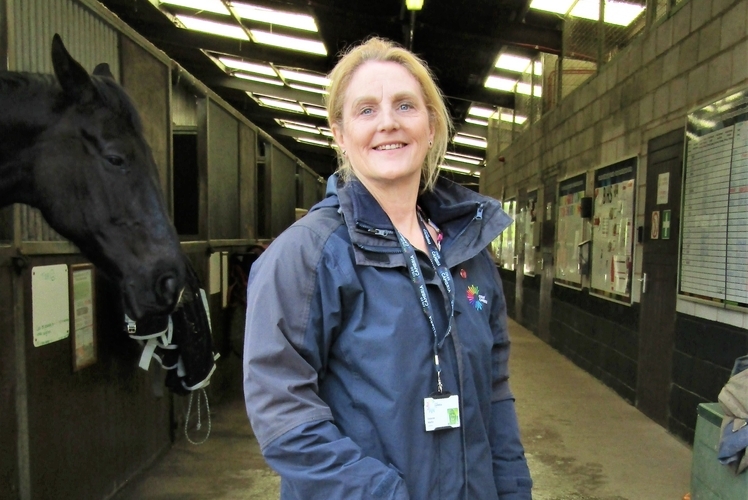 “My role at the college is still the same, with responsibility for land-based studies at Northop and Llysfasi, additional learning needs provision and now Calon, which is an amazing new project we all support,” said Vivienne. “It’s been good for me personally as I have always enjoyed helping charities, and given my own battle with cancer it has given me a renewed focus and drive. “For me the glass is always half full, I love my job and the support I’ve had from my colleagues, the college and students has been overwhelming.